They all have there headlights on? To obvious I guess. i didnt depict richard stevens as hitler at all. 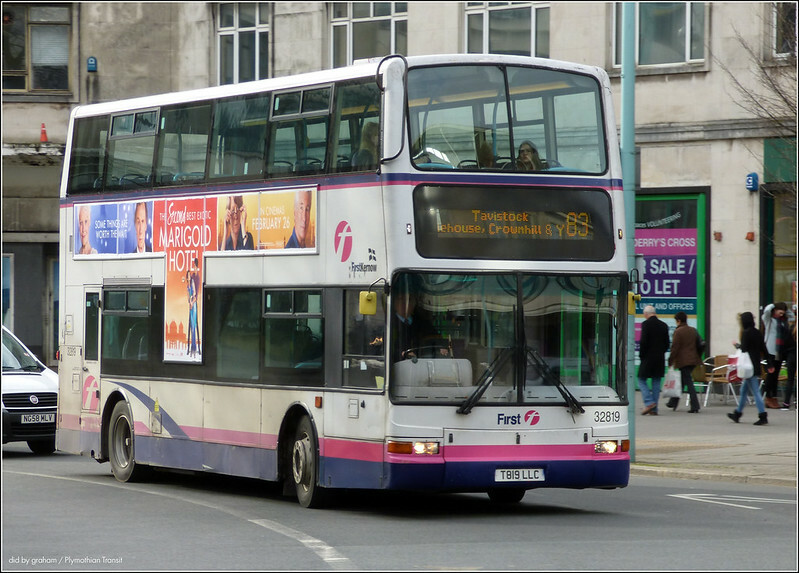 it was a comparison to germany trying to take over the world, like citybus are taking over plymouth. richard actually thought it was brilliant! only took me 10 mins. they all have yellow backs on the mirror's? 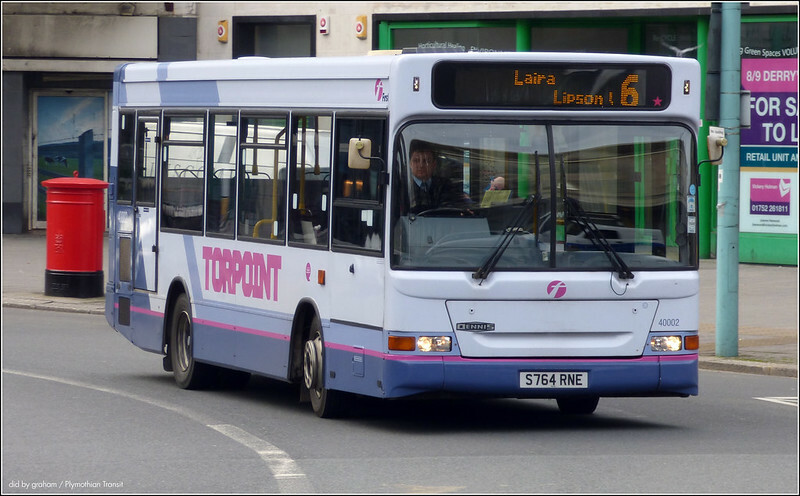 First picture has Torpoint branding, vehicle used on a Plymouth service. Second has First Kernow but operating the 83. 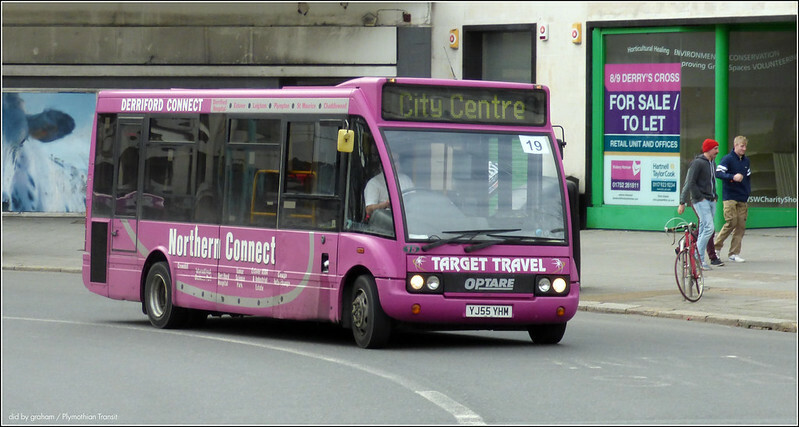 Third is a Park and Ride branded vehicle on Normal stopping service to Torpoint. Fourth branded for Northern Connect operating services to Plympton. And finally Plymouth Citybus operating to Cornwall. all are either branded but on wrong route, or not branded for the route they are on. 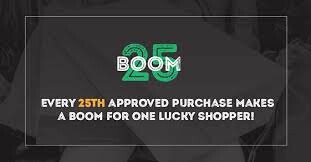 Who remembers these in green? It's painted for park and ride because torpoint drivers have some trips on park and ride in their duties. Actually quite sensible for first. 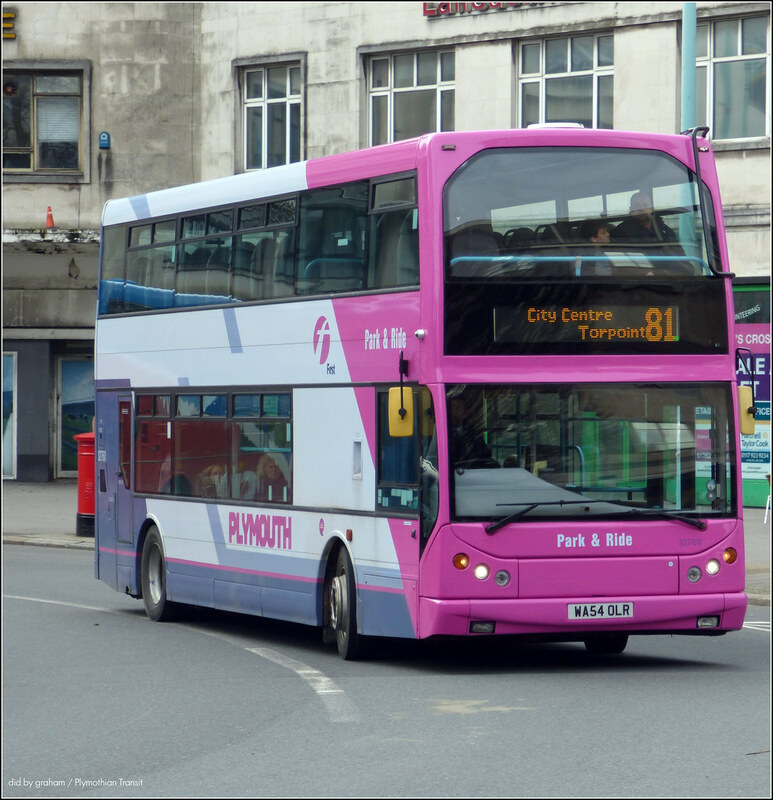 A couple of days ago I was at the George P&R waiting for the Target Travel bus to Derriford - a pink-fronted bus headed north on the main road (Tavistock? ), while a 93-branded bus came in for the PR1. But at least your pictures show that it is not only First which has a problem. Incidentally, waiting at Derriford to go back, a First 15 stopped well out in the road, was ignored and left empty. I got on the Target PR3 which went up to the George with a standing load. They appear to be serving Marjons by turning round at the airport.